Steve Cimerberg D.O., FACOFP has been practicing in South Florida since 1987. He is licensed in Florida and Nevada, Board Certified, and a Fellow of the American College of Osteopathic Family Physicians. He has been a leader in his field, an educator, and patient advocate for several decades. Prior to joining AssociatesMD and as the medical director for a large group practice and MRI center, he led his team in implementing quality and efficiency while lowering patient costs and expanding access to care. 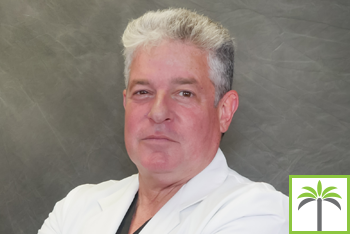 Dr. Cimerberg is Past-President of the American College of Osteopathic Family Physicians for the state of Florida, the Broward County Osteopathic Medical Association, and the Nova Southeastern College of Osteopathic Medicine Alumni Association. As an educator he has spoken at numerous national conventions and seminars, teaching physicians as well as nurses and physicians assistants how to augment their treatment and procedural skills to keep up with the rapidly changing medical environment. In addition to, he has served as Clinical Assistant Professor at Nova Southeastern College of Osteopathic Medicine. As a patient advocate, Dr. Cimerberg has served on numerous committees for two of the largest insurance companies in the United States governing physician peer review, quality management, patient satisfaction, and oversight, all with an eye toward improving care and the access to care while lowering costs.